Musings from Mount Helicon: FREE E-Book of Task Force: Gaea—Finding Balance! 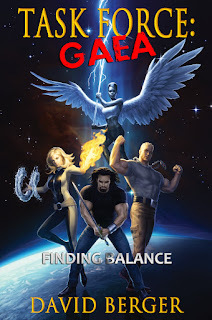 In honor of Gaea, the Earth goddess, my first novel Task Force: Gaea—Finding Balance will be free to download in ANY e-book format at Smashwords.com on Earth Day, April 22, 2013. This offer ends at April 22 at midnight. With Memory's Curse due to come out this fall, this would be fantastic opportunity to catch up on your reading. This first story of Dan, Aleta, Sarah, and Brandon sets the foundation for what comes next, and you won't believe what happens. If you want more info on Earth Day, you can check out this link. Thank you! Spread this link around!